An engraved jewelry item is one in which a design is cut, by hand, into the surface by the use of a sharp steel tool (a graver.) These can be abstract designs, patterns, monograms, flowers, etc. 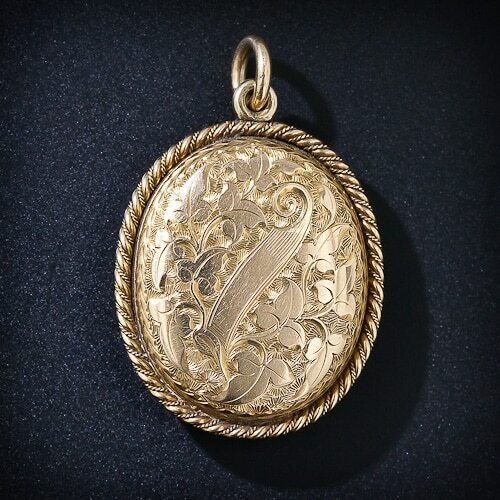 Victorian Engraved Oval 15k Yellow Gold Locket.